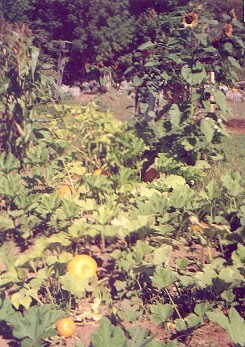 An abundance of plants thrive in the deep, rich soil. 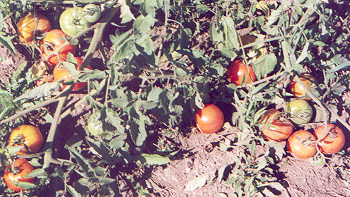 something is always growing at the farm. 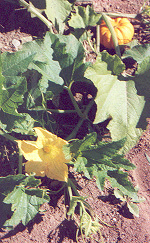 The crop is used fresh or frozen for soups and sauces. 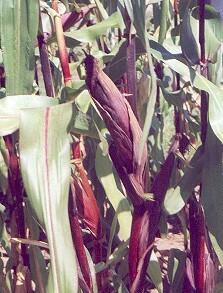 Ears of indian corn ripen in early September. 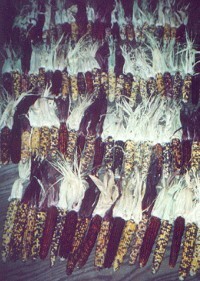 This corn can be used for decoration, corn meal, popped corn or animal fodder. Field pumpkins, corn and sunflowers in the late summer. Mini pumpkins for decoration or baking. Indian corn ready for bunching for the farm stand. These huge maples are at least 150 years old and still growing strong. 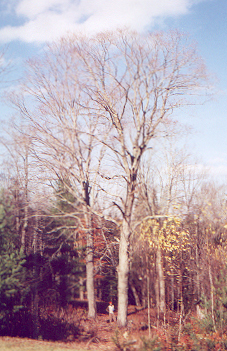 Tim, standing at the tree base, is 6'1" tall. 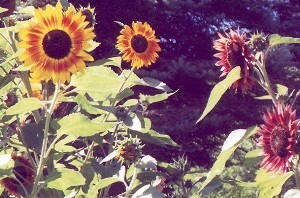 Seven-foot-tall plants sprouting multiple flower heads, the sunflowers are a source of fragrant cut flowers and food for birds in the late summer. 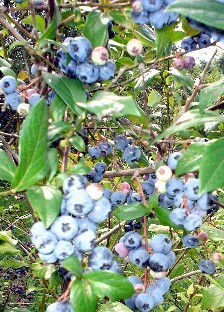 A major crop on the farm, four-hundred blueberry plants produce their bounty in August.